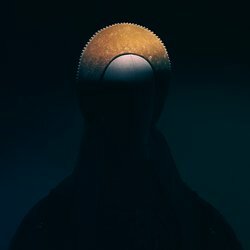 'III' continues to explore his unique style of immersive, glacial, enveloping ambient/drone compositions built upon textural field recordings that gently morph and swell with hypnotic progressions, gorgeous details, and exquisite production. The album also signals his first release since the birth of his daughter, Elektra. Composed as a musical gift to his daughter, the release’s title represents his fledgling family: his daughter, his wife, and himself. The evolving familial dynamic and its newfound surroundings seeps into the album’s creative process, as Craün includes recordings of some of Elektra’s first musical instruments, such as bells, chimes, xylophone, shakers, and percussion. Although there’s a childlike wonder embedded within these compositions, there’s also regal moments that display some of his finest work to date, as he intermittently adds orchestral strings into the mix for exceptionally sublime results. Sit down, take a deep breath, grab headphones, turn up the volume, and get lost within the cinematic and contemplative sonic world of 'III'. Soft sound synthesis built upon field recordings and various percussion instruments, mixed with gentle violin lines.